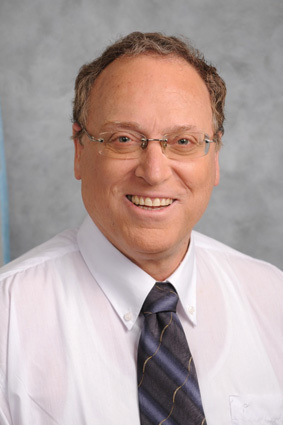 Prof. Shlomo Margel of the Department of Chemistry is a member of the Nano Materials and Nano Medicine Centers of the Institute of Nanotechnology and Advanced Materials (BINA). Margel’s research focuses on the synthesis, characterization and biomedical and industrial applications of functional micro and nano-particles of narrow size distribution, as well as selective marking and drug delivery for diagnostics and therapy. Recently, Prof. Margel established a new start up company, Nano Thera Ltd., in collaboration with Prof. Chaya Brodie, dedicated to treating brain cancer with bioactive iron oxide nanoparticles. Over the past ten years, Margel and his team have pioneered the development of uniform polymeric nanospheres ranging in size from a few nanometers to a few microns. The functional groups of the particles have been used, via different activation procedures, for covalent binding of ligands such as drugs, proteins, enzymes, antigens and antibodies to the nanosphere surfaces. These were then used for applications such as specific cell labeling and cell separation, diagnostics, affinity chromatography, cell growth, specific blood filtration by hemoperfusion, heavy metal ions detoxification, enzyme immobilization, carriers for oligonucleotide synthesis, drug targeting for cancer theraphy (glioma, bone and intestine) , tissue engineering, biological glues, imaging and various biochemical reactions. Currently available hemostatic preparations using collagen, gelatin, or oxidized regenerated cellulose do not have an immediate effect. In addition, a new generation of biological glues based on fibrin has significant drawbacks. Margel has developed a form of thrombin conjugated to biodegradable or non-biodegradable nanoparticles that is significantly more stable in various conditions, e.g. inhibitors, bacteria, increased temperature, storage time, pH, light, lyophilization, etc. The hemostatic uses of Margel’s formulation may be applicable for all areas of surgery, home care, clinics, army services, industry, etc. It may also be useful for controlled release, drug targeting, tissue adhesive, and wound healing. Margel uses nano-medical techniques to improve the accuracy and usefulness of medical imaging. By linking nano-particles to a variety of contrast agents, he has rendered them useful tools for medical diagnostics, because they increase the amount of information that can be derived from readings taken by X-ray, CT and MRI. Margel is also developing techniques for anchoring molecular “brushes” primed with anti-microbial agents onto the surface of polymeric materialsfor reducing or eliminating biofouling coating onto various polymeric supports. Recent literature concerning novel biomaterials indicates increasing interest in developing nanoparticles to detect, prevent and treat protein-misfolding diseases. Their potential to influence protein fibrillation is a function of both the nanoparticle surface interfacial properties including charge, and its enormous surface area/volume. In Alzheimer’s disease (AD), there is an urgent need for in vivo imaging agents that can demonstrate the location and density of amyloid plaques in the living human brain. Margel and his team are investigating a novel method to detect Aβ plaques in the brains of transgenic mice by selective marking of Aβ fibrils using fluorescent-magnetic iron oxide nanoparticles. These fluorescent magnetic nanoparticles offer a significant advantage as multimodal imaging agents due to the combination of magnetic and fluorescence imaging into one nanostructured system. This hybrid system that selectively marks Aβ fibrils might enable early detection of plaques and removal by magnetization. Furthermore, exposure of the magnetized fibrils to locally applied heat may be an effective way for breaking up the fibrils. Margel’s team has also recently developed new iron oxide nanoparticles that prevent the formation of Aβ fibrils, which may be used as a new tool for AD therapy.